About the Author – Don't Back into the Palm Tree! 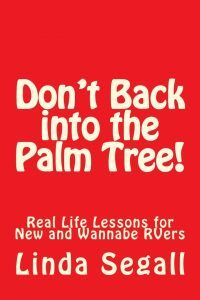 Linda Segall, a retired business writer and editor, is the author of Don’t Back into the Palm Tree! Real Life Lessons for New and Wannabe RVers. This recently published book (available as an e-book or paperback on Amazon) recounts the (mis)adventures she and her husband have had in their first five years of traveling by motorhome. The author has aggregated anecdotes of those (mis)adventures (captured in her blog, the Relucant RoVer) and translated them into solid recommendations so that new or wannabe RVers can avoid the “mis” and just enjoy adventures in their travels. Linda has been invited to speak on RVing at retirement functions as well as at OLLI (Osher Lifelong Learning Institutes) at the University of North Florida. Linda is a seasoned writer. She has co-authored three business books and a book on gluten intolerance. 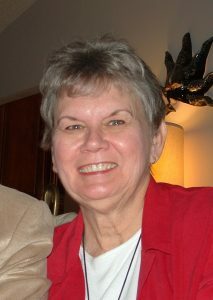 Although retired from the business world, she continues to write and edit as a freelancer as well as for her own pleasure. A transplanted Hoos ier who has lived in seven states, she and her husband now reside in northeast Florida, where they enjoy the almost-perennial summers of the Sunshine State.